I am a pilot and an engineer. The pilot in me loves the simplest, purest airplane I can fly. A Cub, a Champ, an Ercoupe. The engineer in me cringes every time ATC asks me to cycle my transponder, when I gaze at INOP placards, and my GPS hasn’t been updated this decade. How are we approaching 2020 with aircraft electronics that are nearly indistinguishable from their early 1990s counterparts? Tearing down most avionics would reveal technology more similar to a bag phone than an iPhone. 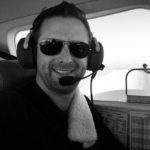 My colleague Ryan Reed eloquently posed and answered the question, Could drone mania save General Aviation? Today I want to look at something close to my heart – the technology gap. The modern consumer electronics industry moves at a breakneck pace. Each generation of smartphone brings such startling innovation that we forget what was deemed impossible just a few years prior. By contrast, aviation moves at a broken pace. Safety is rightfully paramount, but well-intentioned regulation has overburdened development processes. There is hope, however. The FAA recognizes the technology gap and been working hard on innovative programs, including Non-Required Safety Enhancing Equipment (NORSEE), progressive certification programs, and the Part 23 rewrite. We, along with a number of other manufacturers large and small, are eager and willing participants in these programs. The results will become apparent as increasingly sophisticated electronics find their way into your cockpit. We don’t usually use this blog space for overt self-promotion, but uAvionix has been releasing a line of increasingly sophisticated devices to the General Aviation market that bear mention. These devices strike at the heart of how we can bridge the technology gap. We founded uAvionix to bring aviation technologies and safety to the drone market. To do so we created the groundbreaking Ping ADS-B radio. 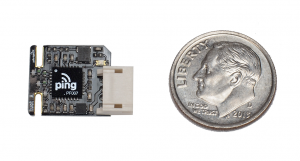 Miniaturized to a single chip, Ping makes ADS-B accessible not only to drones, but to the next generation of manned avionics. In partnership with ForeFlight, this summer we introduced the first thoroughly modern Wi-Fi ADS-B receiver – Scout. Conceived with uAvionix’s groundbreaking Ping technology and tightly paired with ForeFlight’s industry-leading software, Scout sets the bar for portable aviation electronics. It simply has no parallel in elegance, size or power consumption. More recently we introduced the market to skyBeacon, and interest has been through the roof. A complete, all in one solution for ADS-B OUT compliance, skyBeacon installs on your aircraft in just a few minutes. No poking holes in your aircraft to run new antennas, no adding breakers, and no hardwiring to existing avionics. It is as simple as replacing your existing navigation light and walking through a nearly automatic configuration process on your smartphone. We aim to bring the installation cost as close to zero as possible, which will help a wide variety of aircraft install this critical safety technology. We have started delivering skyBeacon to the experimental and Light Sport markets, and are working hard to bring it to certified aircraft. The aforementioned FAA programs are designed specifically to enable the development and certification of cutting-edge devices like skyBeacon, and we’re proud to be deeply involved in these important efforts. We view our role in the industry as a critical one. We’re able to bridge the gap between the high technology and traditional aviation worlds. We also view our market opportunity as unique; the convergence of manned and unmanned aviation will have positive impacts on both. Just as smartphone sensors made low-cost drones available, drones can bring down the cost and increase the technology of manned avionics. Simple economics supports that higher quantities will be good for a stagnant manned aircraft population. Manned aviation also has much to offer unmanned aviation. Only with safe and fully integrated traffic management will the economic benefits of drones be fully realized. The integrity and experience of established manned systems and procedures will help safely expand unmanned operations. We’re excited to demonstrate our commitment to aviation in all forms and look forward to the opportunity to innovate and surprise.